Most of my work is based around flowers and portraiture, I am always working between the two and often they overlap with flowers finding their way into nearly everything I paint. I am amazed by the colour palette and the abundance of choice that nature provides us and I find this aspect such a source of inspiration. A flower is such a fleeting wonder and I want to capture that moment, to freeze frame them in paint at the height of their bloom. Painting people has always fascinated me throughout my life and I started drawing them very young, I am always looking for the eyes to speak in some way to me and I try to create that feeling each time I paint a portrait. Art never fails to amaze me and how it can move you emotionally. I love art that lifts you to a higher place. I feel incredibly fortunate that there's never a lack of inspiration for another painting. It is positively and eternally inspiring. If you have an enquiry about my work please contact me. 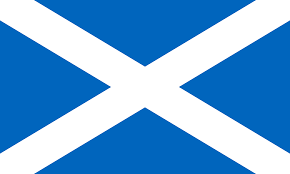 Collections – Government Offices, Corporate Collections, Private Collections in Scotland, England and France.